Former Maharashtra chief minister Prithviraj Chavan today demanded a probe by a joint parliamentary committee to ascertain the "real intention" behind the Centre's demonetisation exercise. 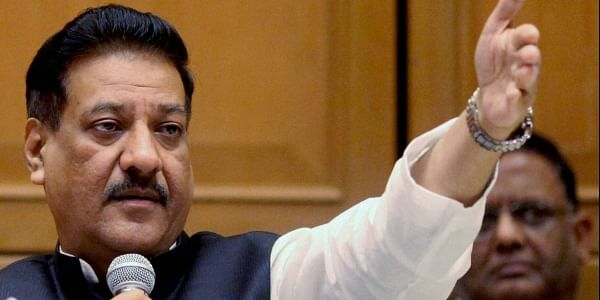 MUMBAI: Former Maharashtra chief minister Prithviraj Chavan today demanded a probe by a joint parliamentary committee to ascertain the "real intention" behind the Centre's demonetisation exercise. The senior Congress leader also demanded a regulatory mechanism for the digital payment companies in the country. "As time passed after demonetisation, a different scenario came up, contradicting the initial claims made by the prime minister on November 8 (last year), while announcing the exercise. This was an impulsive decision which hurt the country to no ends," Chavan told PTI. He alleged that after it became clear that the initial claims put forward as reasons behind the decision to scrap high-value currency notes did not prove to be true, the goalpost was shifted. "After the RBI said that all the money had come back into the system, Jaitleyji (Finance Minister Arun Jaitley) had said the intention behind demonetisation was digitisation. Now the question that arises is, was the prime minister aware of the real intention or was he kept in the dark," Chavan said. "There should be a probe by a joint parliamentary committee to ascertain whether the prime minister knew that the real intention (behind demonetisation) was digitisation or was he also kept in the dark about the whole process and its repercussions," he added. The Congress leader also claimed that the payment processing companies would keep looting the country until a payments regulatory board was formed by the government. "Jaitleyji had announced to form the board in his budget speech. Yet, nothing has been done. Unless there is a proper infrastructure in place, people cannot be forced to go cashless," Chavan said.